With a little British pomp and a lot of British pop, London brought the curtain down on a glorious Olympic Games to a close. However, it was some of the great athletes at those games more than the pomp and the pop that really made a lasting impression on everyone by doing things out of the ordinary. Many of us were inspired by each story that was covered, and impressed by athletes who overcame incredible odds to make it to the games. No matter what industry you are in, there are valuable lessons from the Olympics that we can apply to our businesses. For example, when Usain Bolt crossed the finish line during his 200-meter final, he made one simple gesture. He didn’t point to the sky. He didn’t raise his hands in the air. Bolt merely held up his finger to his lips, making a gesture of silence to his opposition. He’d reached a new pinnacle in his career and his first reaction was to silence those who thought he’d never make it. Although Usain Bolt could be seen as arrogant and full of himself, his actual performance matched his level of self- confidence. As a result, he is now become a legend. Just as Bolt excels in sprinting, there are champions in every profession and business. It’s the difference between one who simply gets the job done vs. someone who gets the job done incredibly well, makes a lasting impression and also a big difference to the final outcome. While there are dozens of things leaders can learn from the Olympics, the following lessons can help to strengthen our organisations. Leadership research says that learning agility is the largest predictor of long-term success. Great athletes are great learners. Learning and improvement are often about the small and simple things, great sprinters are very analytical about all kinds of little things - their start, stride, footwear, clothing, etc. Learning ideas become shared over time. Learning can be defined as the ability to generate and generalize ideas. Once a sprinter has innovated something new, then those ideas will likely to be transferred to others. Leaders learn by both doing new things and by learning from others. Then some ability to success is learnable, some are inherent. The best sprinters in the world have great abilities to learn, but they also have natural ability. Therefore, it is important to position people in jobs where their talents are more applicable and relevant to the role. The spirit of the Olympics brings out the best in most of the athletes. Many of those great athletes are so committed to their craft that they invest more than 10,000s of hours in improving their skill, confidence and also to make the most of their own potential. Success therefore is talent plus preparation and it seems the bigger the role preparation plays over talent in the final outcome. Also, many of the successful athletes while they feel a sense of pride in the sport, they also have a huge sense of pride in representing their country. Likewise, companies need to invest time and resources to create that sense of pride within their organisations, to ensure that their employees do their best work for the company and also to help their employees to realize their full potential. 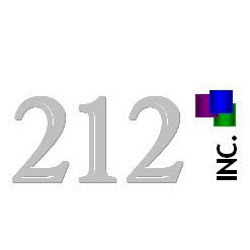 Open Positions At 212, Inc.